Rwanda has one of the highest population densities in Africa, where life expectancy stands at 64 years and households headed by women or orphans account for 36 percent of the population. The low-income country has a limited natural resource base, and agriculture is the main sector of the country’s economy—contributing to more than 33 percent of the national GDP and 80 percent of the total export revenue. Since the 1994 genocide and collapse of the economy and social services, the government embarked on rebuilding the country and improving its quality of life through long- and short-term development programs. 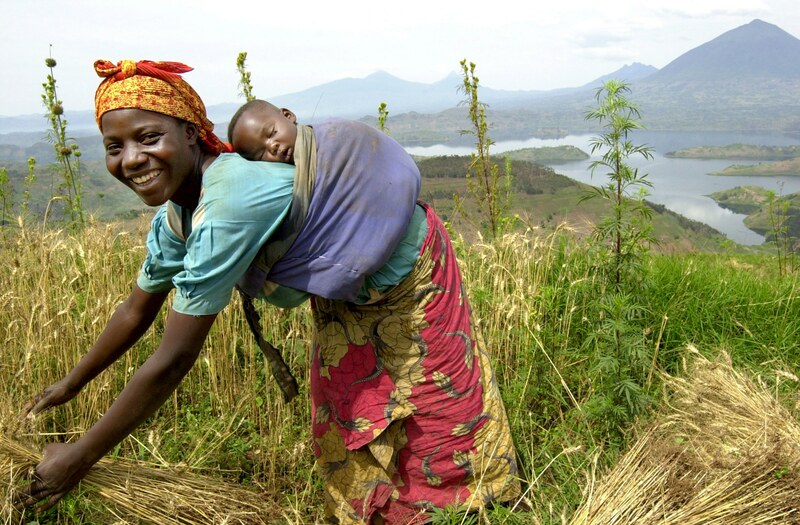 Rwanda was the first country to sign onto the Comprehensive Africa Agriculture Development Programme, confirming malnutrition and food insecurity as some of the government’s key priorities. Rwanda is currently home to more than 74,000 Congolese refugees and more than 81,000 Burundian refugees, hosted in camps, reception centers and cities. With precarious security in the region, prospects for refugee repatriation in the near future have declined. Present in Rwanda since 1975, WFP’s main priority is to provide food assistance to refugees, safety net assistance to the most vulnerable, and build national capacity to design and manage home-grown hunger solutions. School meals in camps and in food-insecure districts ensure children are getting meals and staying in school. Food and nutrition security for refugees – WFP’s work focuses on more than 150,000 people, including refugees from Burundi and Congo, Rwandan refugees returning home and children from host communities who are attending the same schools as refugee children. WFP’s assistance is provided through general food distributions, supplementary nutrition and school meals. Food vouchers are implemented in three camps to enable refugees to purchase the food of their choice in local markets. The U.N. agency has continued using its innovative e-cards and biometric technology to ensure identification of the right people receiving assistance. National capacity development – WFP provides technical support to help the government develop, design and manage nationally-owned, innovative hunger solutions like school meals. WFP also strengthens the capacity of the government to enhance resilience and livelihood opportunities for the most vulnerable and food-insecure people. As national programs are scaled up, direct food assistance will be scaled down.